MINIMUM STAY: 28 Nights. 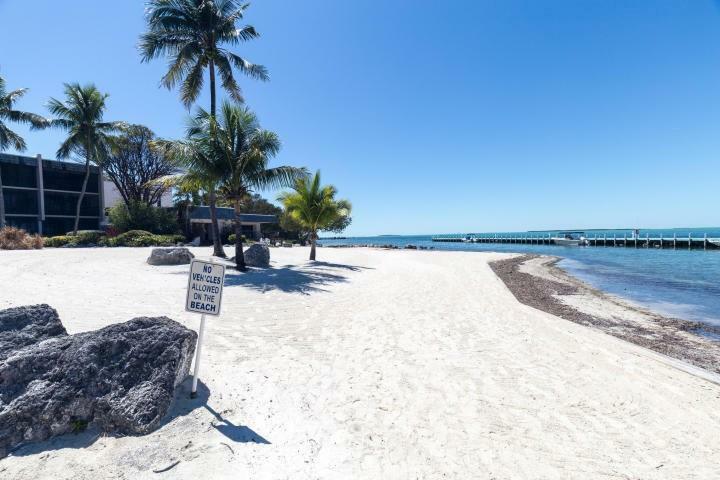 "Rock Harbor Club P-8" is a bayfront townhouse located in the lush tropical setting of Rock Harbor Club in Key Largo. 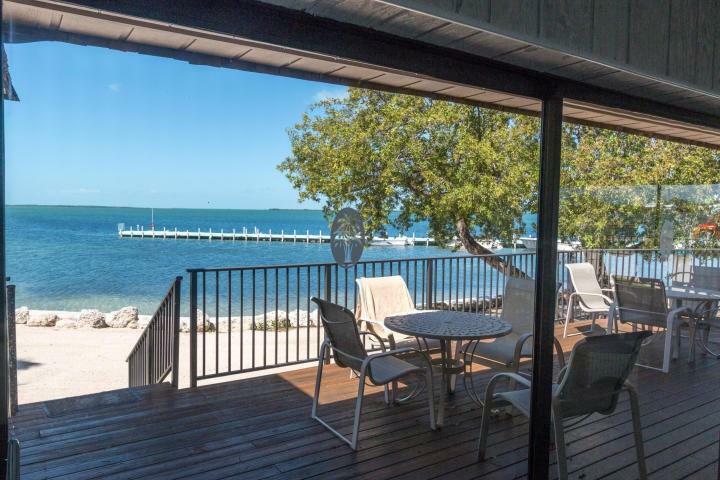 You'll love the open water views from the two oversized screened balconies - one off the main living area and the other off the master suite. 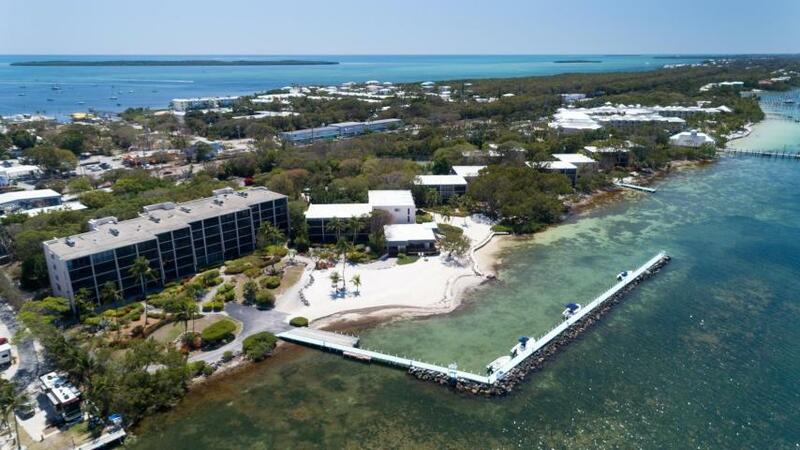 There's something for everyone at Rock Harbor Club: heated swimming pool; sandy beach; tennis court; basketball court; bike trails; and a place to barbecue and a community room for gathering with friends for the nightly sunset show over the water for which this area is famous. This unit has new owners and new items are being added as you read this! Updated photos will be published as new items are added and updated. 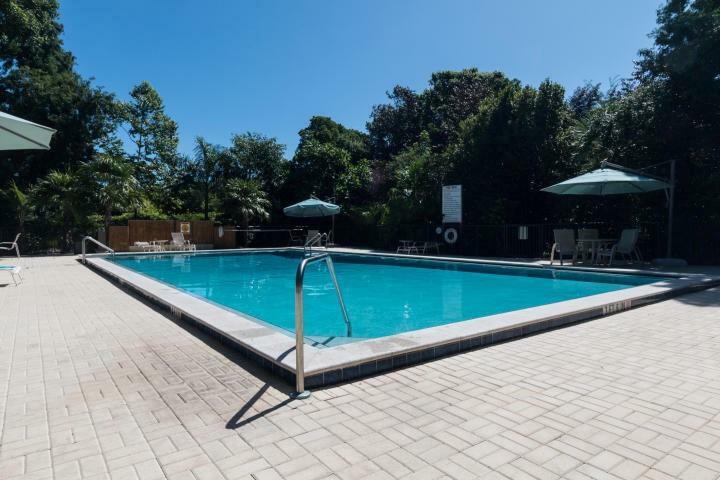 This unit offers spacious open concept living on the main floor plus a half bath. The kitchen is completely stocked with dishes, pots and pans, cooking utensils and all the usual appliances. There's even a walk-in pantry for extras. Upstairs there are two bedrooms and a clothes washer and dryer. The master suite offers an ensuite bath and private screened balcony. There's a 2nd bedroom and a hall bath. Wi-Fi and cable are included. This unit comfortably sleeps 6. Bedding is King in the master suite; Full size bottom bunk with a Twin on top in the guest bedroom. In the living area there is a queen futon and a queen sleeper sofa. This property is professionally managed by Keys Holiday Rentals. 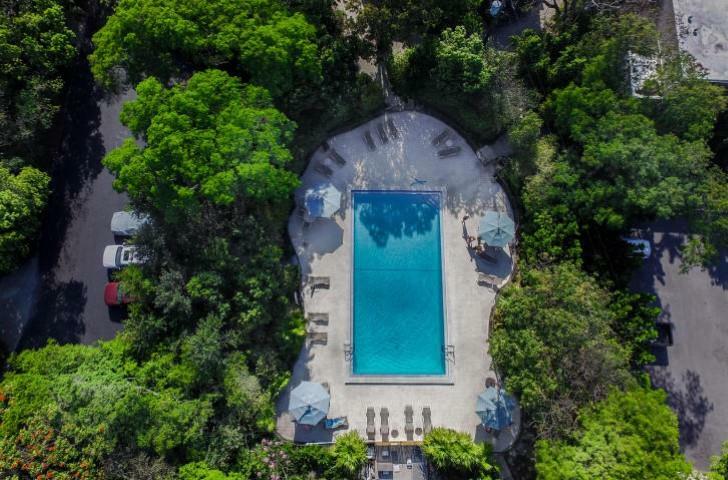 Rate Details: Rent: $2875 to $3725/month depending on season. Monthly Rates are calculated from the 1st day of the month to the last day of the month. Additional Charges: $225 departure cleaning fee; $200 processing fee, and 12.5% state and local taxes. Refundable Security Deposit: $500 Utility Caps/Mo: $150 electricity. The owner pays up to this amount. If there is an overage, the amount will be deducted from the security deposit and a copy of the bill will be provided. Optional Insurances:Accidental Damage Insurance: $45 covers up to $3,000 of accidental damage during your stay. Travel Insurance :This is an optional service we offer through a national travel insurance provider. Plans include valuable medical coverage, trip interruption, emergency travel services and more. Please click on the Travel Insurance tab on our website for more information. 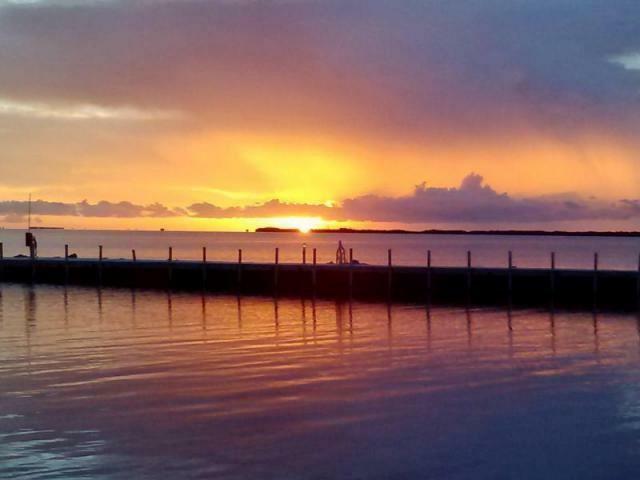 I had a great stay at the Rock Harbor condo. Keys Holiday Rentals always makes check in/check out easy and responded almost immediately to a minor plumbing issue during my stay. 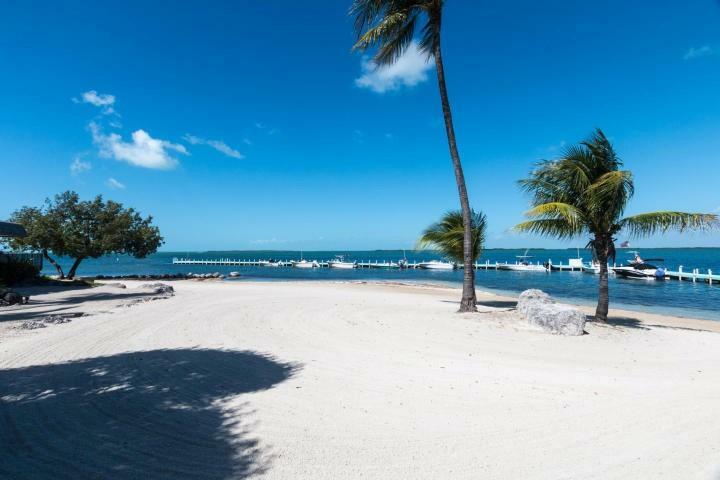 I highly recommend Keys Holiday Rentals and the Rock Harbor Club. I will miss these sunsets. Beautiful views. Sunset directly in front of balcony. Condo spacious, well equipped, decorated nicely, and comfortable. LOVED having washer/dryer in the unit. Service quickly provided for a clogged drain in kitchen. Great location in the complex. The bunk beds were not good for adults. There is room for a double bed, plus a single bed in the 2nd bedroom. Would like to see that change. Only other issue is that the light on the balcony could not be pulled on because the chain was rusted. That happens near salt water. We needed that light at night because there's not a DR table inside (but there is a counter w/4 chairs). The bunk beds is the only thing keeping this from being a 5 star rating. Would definitely return to this condo. Great job new owners! Great Experience. 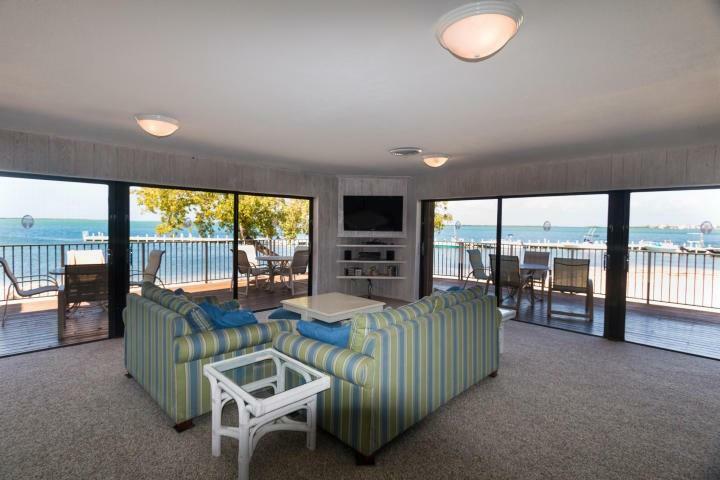 I used Keys Holiday Rentals to book my 2 month Rock Harbor Club rental this past January and February and could not be happier with them. They went above and beyond to make sure I had a great experience. I will definitely be using them in the future.